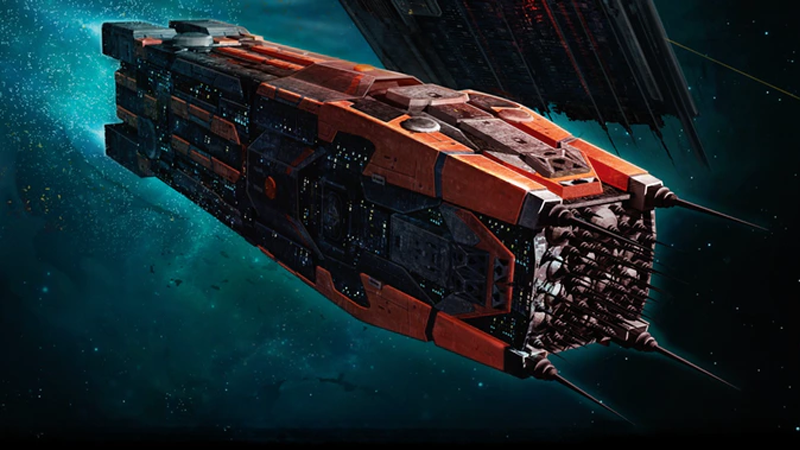 The Expanse Roleplaying Game will let you venture out into the stars with your very own ship. 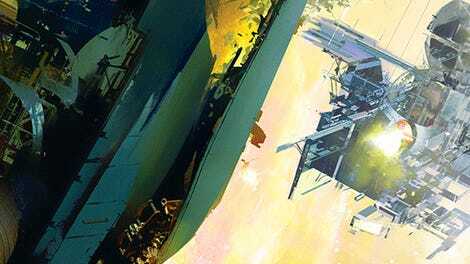 The world of the Expanse novels is getting a whole new tabletop RPG early next year. In many ways, it’s a return to the roots Ty Franck and Daniel Abraham’s award-winning book series actually began as, well before the beloved television show. Launched this past Monday through Kickstarter by Green Ronin Publishing—and funded in just an hour, it’s now pulled in $194,000, well beyond the original goal of $30,000—The Expanse Roleplaying Game is directly inspired by the world of the book series (published under the pen name James S.A. Corey), rather than the Syfy (and now Amazon) TV series, which actually already has its own tabletop board game. Built around the Adventure Game Engine rules used by Green Ronin’s other tabletop games, the RPG tasks players with putting themselves into the simmering conflict between Earth, Mars, and the Belt, taking on a variety of roles, from combat operatives to diplomats, and venturing out into the stars. Cover art for the standard edition and Kickstarter-exclusive special edition rulebooks. It is actually, as the Verge notes, sort of a return to The Expanse’s original form. Back before Franck and Abraham began the novel series, Franck developed the world that would become The Expanse’s futuristic political drama first as a potential idea for a Chinese MMORPG, and then as an online post-to-play roleplaying game—which lead to Franck meeting Abraham, and them working together to turn that RPG adventure into what would become the first book in the series. Following the crazy success of the Kickstarter—which has now funded stretch goals for extra adventures, and more special additions (like a map of the solar system outlining the various factions of The Expanse’s far future)—Green Ronin’s The Expanse Roleplaying Game is set to launch in digital formats this November, with physical versions of the core rulebook and Game Masters Kit (including reference cards and a GM screen featuring art from the rulebook) due to ship to backers in January 2019. You can still back the Kickstarter yourself if you want to get on board—it’s open until August 23—but if you’re interested in trying out the game right now, a quickstart version of the rules is available to download as a free PDF.